AutoProtect is added advantage with snapshot feature. AutoProtect allow you to take snapshot of the VM at Regular intervals which you configure for the VM. So in that you don’t have to manually take the snapshot of the VM instead AutoProtect will take snapshot of the VM automatically on scheduled time. When AutoProtect snapshots are enabled for a virtual machine, Workstation shows an estimate of the minimum amount of disk space taken by AutoProtect snapshots on the Virtual Machine Settings window. This minimum is affected by the memory settings for the virtual machine. 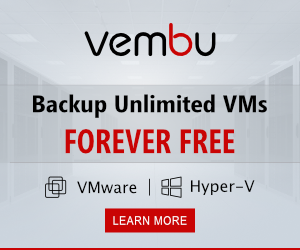 The more virtual machine memory a virtual machine has, the more disk space is available for AutoProtect snapshots. Because AutoProtect takes snapshots only while a virtual machine is powered on, AutoProtect snapshots cannot be cloned. You can clone a virtual machine only if it is powered off. AutoProtect snapshots are not taken in VMware Player, even if AutoProtect is enabled for the virtual machine in Workstation. 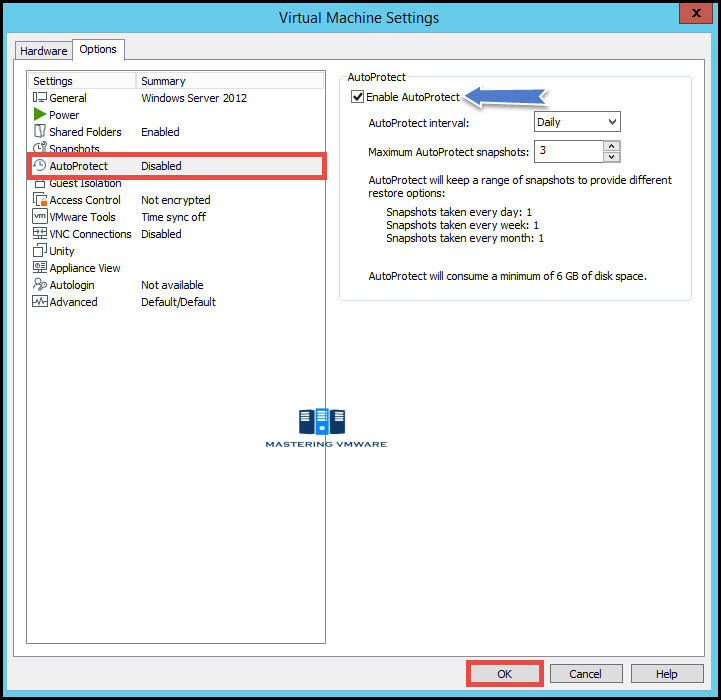 You cannot configure the AutoProtect feature for a shared or remote virtual machine. 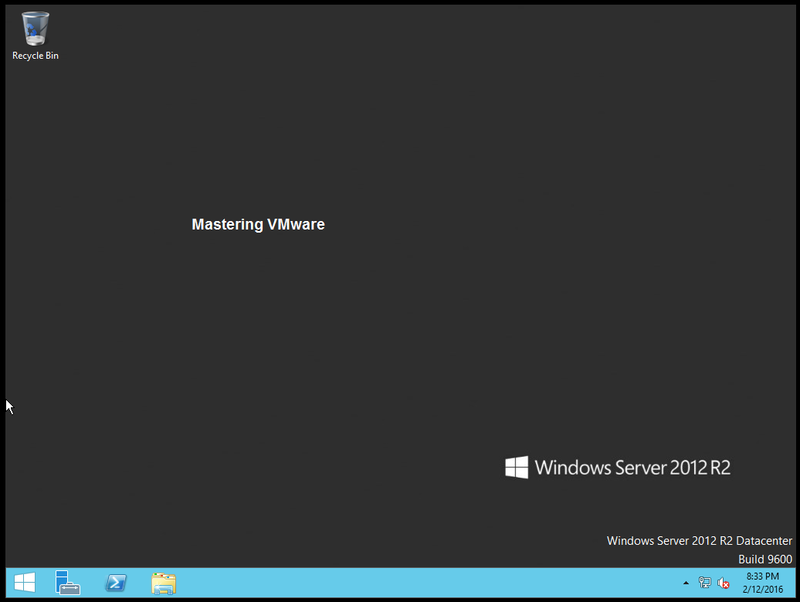 Select the VM for which you want to configure AutoProtect. Right click and go to Settings. As you can see that currently it is disabled. Just check the Box “Enable AutoProtect” to configure AutoProtect. You can configure the AutoProtect Time Interval as Half-Hourly, Hourly and Daily. You can configure Maximum AutoProtect snapshots also. So you can limit the snapshots taken. Once you select the values you can see below the overview of the details how AutoProtect will take snapshot and how much disk space will be utilized. 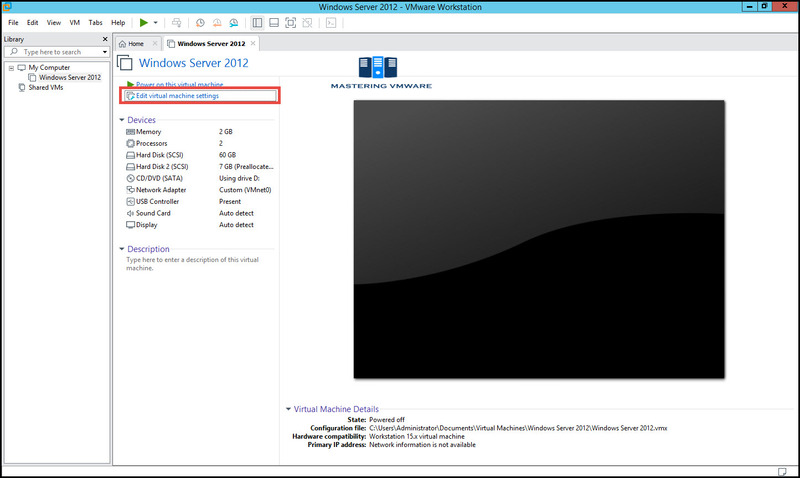 Using this simple way you can configure AutoProtect for the VM in VMware Workstation. AutoProtect is very useful feature when you do frequent changes in the virtual machine, so you don’t have to take manual snapshot every time.